Happy Thursday! 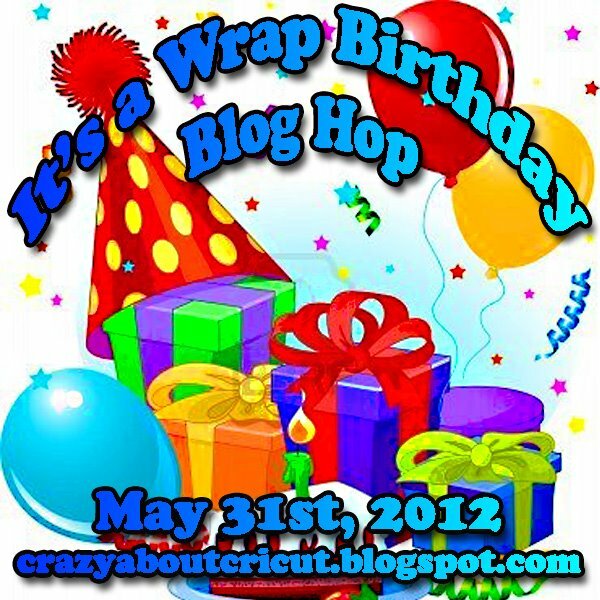 And WELCOME to the It's a Wrap blog hop! If you arrived from Sharon's blog then you are in the right place. If not and you would like to start at the beginning please visit Jenny's blog here. Im so excited to be apart of this blog hop! Thanks for having me Jenny! 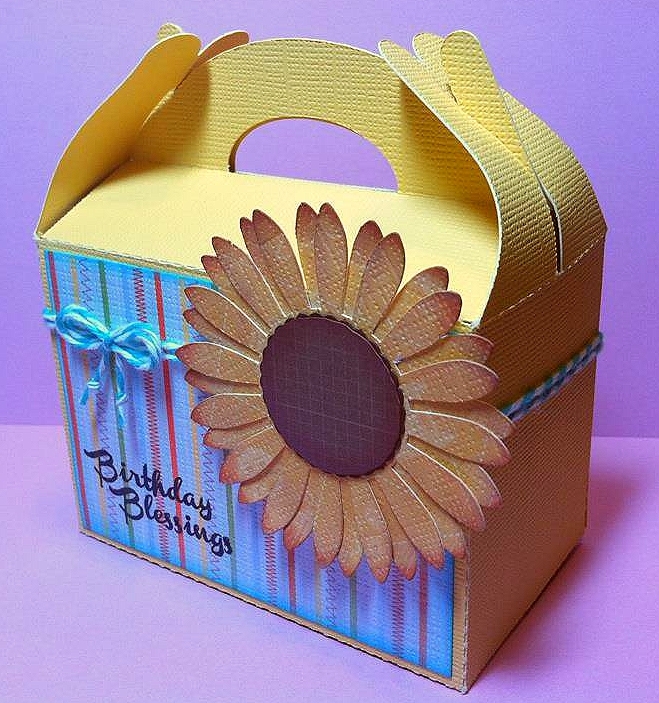 Now this blog hop is all about the fun ways you can wrap/decorate birthday presents! Here is my project.. I cut the box and the flower out on my Cameo. They are from the Silhouette Store. 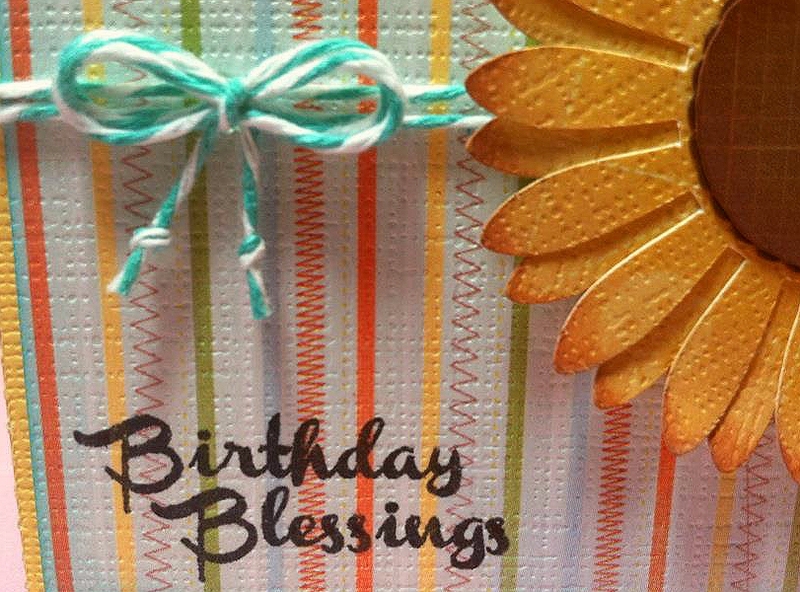 This size is PERFECT for a gift card or a little gift! I stamped the bottom of my paper with "Birthday Blessings" This is from Jaded Blossom "Make a Wish" stamp set. Thanks so much for hopping along on the blog hop today!! And here is the rest of the line up in case you get lost! How bright and cheery!! Cute!! 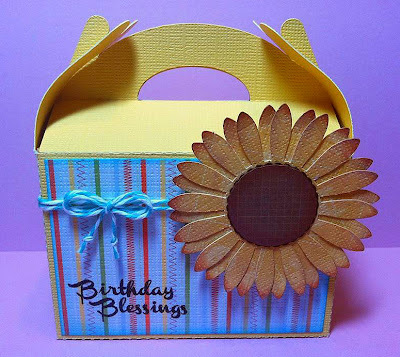 That sunflower is fantastic and really gives a special flair to the little gift box. Great idea! I absolutely love the sunflower and the twine in aqua! Too cute! Love the whole look of this box and how it just shouts out at you. Its fabulous. What a great box. I really love the flower and the colors. TFS! This is so cute!! I love the ink on the flower!! Such a cute Treat Bag. Love that flower. Just love your flower and the inking. I love your box! I might have to look into buying a new machine that will cut SVG files. There are so many cute files out there to buy. Thank you for sharing one of those projects. This is one of the cutest boxes like this I have seen! I love your choice of papers and that awesome big blossom. TFS!